More and more states are recognizing the growing number of UTV owners wanting street-legality for their machines, and many are enacting new laws or revising existing ones to allow limited use of UTVs on state roads and unpaved roads and trails. A baker’s dozen states allow registration of UTVs as street-legal vehicles with various equipment requirements. A few allow very limited OHV use of public roads, while five more allow driving in ditches and along rights of way. Another 10 only allow UTVs and OHVs to cross roads to connect trails, and another 13 allow limited use on roads as farm vehicles. Another allows hunters to use roads only during hunting season. What is the law in your state? Scroll to find out. NEWS FLASH: As of March 28th, UTV owners can register their machines as assembled vehicles with the Secretary of State of Michigan to be street legal. UTVs must be equipped with DOT tires, windshields, windshield wipers and washers, safety belts, lights, turn signals, horns and working mufflers. Michigan Representative Brett Roberts (R – 65) introduced House Bill 5639 in December, 2018, and it has been signed into law. HB 5639 requires UTVs be registered for the street and carry a plate, but Michigan also requires ORVs to be licensed with the Department of Natural Recourses (DNR), which charges $26.95 per year plus a yearly trail permit of $10. West Virginia Counties within the Hatfield-McCoy system allow registered OHVs on certain streets to access retail outlets, restaurants, hotels and OH dealerships, and West Virginia only allows OHVs on two-lane streets or roads. Those with a center line and more than two lanes are illegal, except for the purpose of crossing said road. UTVs and ATVs can also be operated on the shoulder of roads for purposes of connecting trails. All UTVs and ATVs must be equipped with at least one headlight and taillight, whether or not they’re operated after sunset, for better visibility and safety. 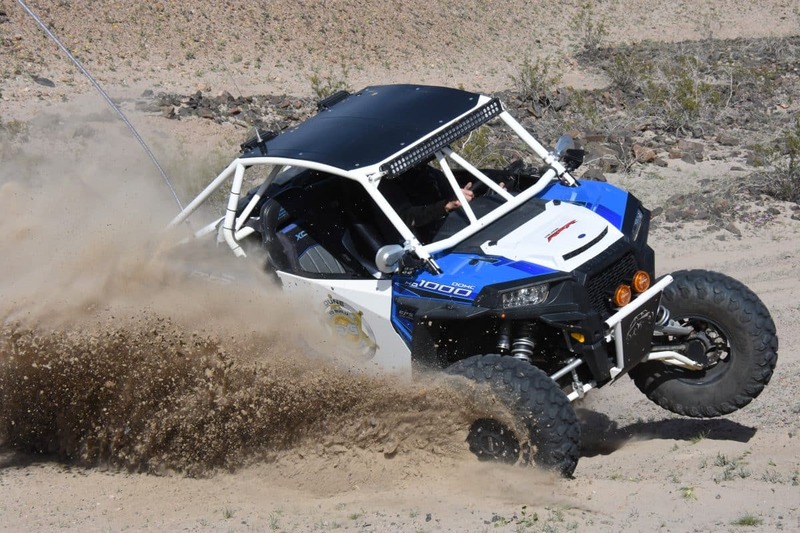 Only emergency personnel may operate an OHV on a public highway, and ATVs can only carry a passenger if the machine is designed to seat more than one person. 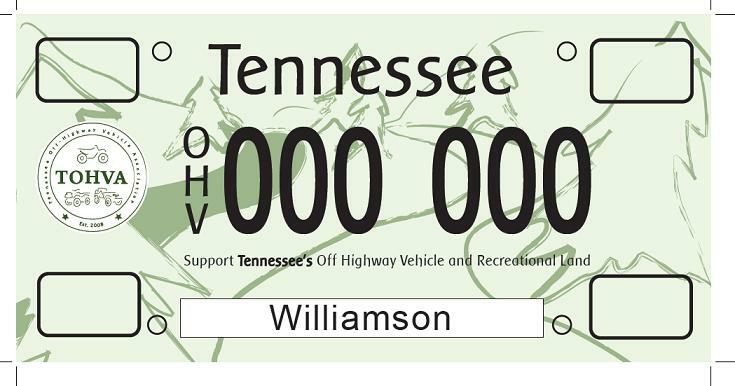 While Tennessee is working to attract OHV-tourist dollars like west Virginia, the state has yet to show lenience on operating OHVs on Tennessee thoroughfares. OHVs may only be operated on two-lane roads, and only to cross highways. UTVs and ATVs must have operating headlights and taillights, and the headlights must project light at least 200 feet. Since they can only be operated between a half-hour after sunrise and a half-hour before sunset, the lighting requirements are more for visibility to other vehicles. Helmets are also required at all times. Tennessee SS 55-8-185 says OHVs may not be operated on any state highway or any highway that is a part of the interstate and defense highway system. The law permits crossing a highway or use on permitted county or township roads, and operating an OHV on a right-of-way (or berm) to connect a loading area and trail head. Operation on limited-access highways is prohibited, except for emergencies designated by public-safety personnel. OHVs cannot be operated from sunset until sunrise unless displaying operating lights. It’s common to be driving in Tucson, Arizona’s second-largest city, and see UTVs zipping around city streets, even downtown. On the newly-opened La Paz Trail, many towns even allow non-licensed UTVs to use city streets to buy gas, parts, groceries and a room for the night. Licensing a UTV for the street doesn’t even require a safety inspection; just pay the registration fee, show proof of insurance and receive a motorcycle license plate. This is in addition to Arizona’s OHV registration. Arizona requirements for UTVs on streets are: a horn, rear-view mirror, license-plate bracket and light, DOT-approved tires, eye protection and insurance. This is an incidental-use provision, meaning you’re not using the vehicle as a main source of transportation, although we do know of special-needs people with hand-controlled UTVs that are their main form of transportation. 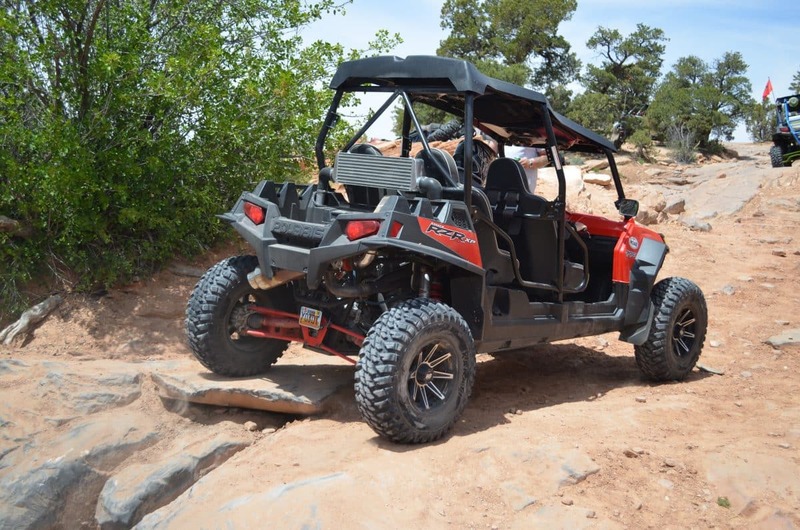 Central Utah’s Paiute Trail System was built specifically with OHV-tourism in mind, and most towns have designated OHV routes for access to gas stations, grocery and auto-parts stores, restaurants and hotels. 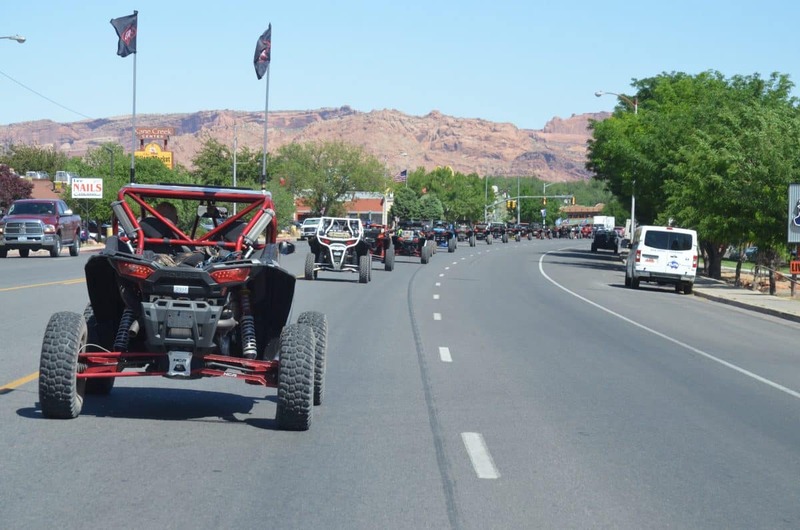 Utah requires OHV registration and honors out-of-state registrations, and temporary permits are issued for residents of states without OHV-registration programs. Utah also has a very OHV-friendly licensing requirements for street use in all counties but Salt Lake County. Senate Bill 258 recently removed restrictions on tire size (formerly no larger than 29 inches), makes UTVs legal on all roads but Interstate highways and limited-use roads (NPS, etc. ), and raises the OHV speed limit to 50 mph. Utah’s requirements for street-licensing UTVs are: turn signals, horn, side-view mirrors, license-plate bracket and light, eye protection (windshield/face shield/goggles), and liability insurance. A valid OHV sticker is also required, and the OHV license plate is the same as a motorcycle plate. Washington Revised Code 46-09-455 allows UTV operation on roads having a speed limit of 35 mph or less, including state highways within the city limits of a town that permits such use but only on roads with posted speeds of 35 mph of less. It prohibits even crossing any road with a speed limit in excess of 35 mph. Montana allows limited street use of UTVs, ATVs and dirt bikes to connect trails on public land. Machines must have mirrors, horn, headlight and brake lights to receive registration and a license plate. In addition, operators must have a driver’s license, and dirt bikers need a motorcycle endorsement. Those under age 18 must wear a helmet, and children 12-16 must go through safety training and earn a certificate. Passengers are only allowed if the machine is designed to carry passengers. An ATV/UTV off-highway registration is $61.25, while a combined OHV/street-legal registration is $114.50. Montana has fairly lax requirements for licensing OHVs for the street to connect trails; vehicles must have at least one headlight and one tail- and brake-light, along with brakes. Registration, display of the plate and an operator’s license are also required. Operating an OHV on-road within any city limits requires permission. Wyoming only allows ATVs to cross roads to access trails, although rural use as agricultural vehicles outside of city limits is permitted. UTVs can be registered with Wyoming DOT as multipurpose vehicles (MPVs) for use on county roads, but not interstate highways. If the UTV isn’t capable of reaching the posted maximum speed, it must be operated on the extreme right-hand edge of the road and display a slow-moving vehicle emblem (orange triangle) or reflective flag. Insurance is also required in all states. Wyoming’s equipment requirements for registering a UTV for the street as a MPV are: brakes capable of stopping from 20 mph within 40 feet, a horn that can be heard from at least 200 feet, muffler, headlight(s), tail- and brake-lights, rear reflectors, and at least one mirror. If the UTV has a windshield and enclosed cab, it must have a windshield wiper. If you’re planning on attending the Sturgis Off-Road Rally on May 24-26 (see Schedule or www.sturgissuperstore.com), out-of-state UTVers who don’t have license plates can buy temporary plates for $5-$15 from the Meade County Treasurer’s Office, 1300 Sherman Street, Suite 107, Sturgis SD 57785; (605) 347-5871; [email protected] Motorized Trail Permits can be had at www.blackhillsparks.org. Requirements for licensing a UTV or ATV for the street in South Dakota are: minimum 200cc engine, rear-view mirror, horn, muffler, headlights, license-plate light, parking lights, and tail- and brake-lights. Idaho UTV owners can buy a restricted-use license plate for operation on public lands and public roads. 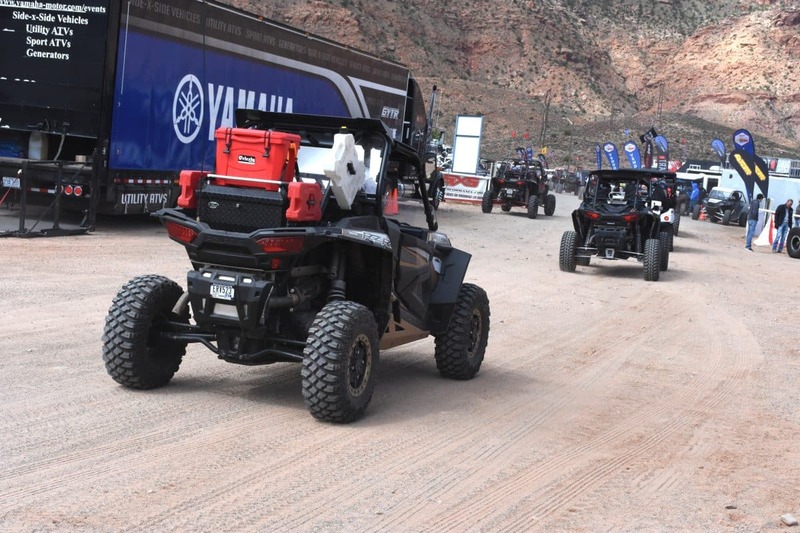 UTVs must display the valid restricted-use plate with an OHV sticker attached and a muffler with spark arrestor, and owners must possess a valid driver’s license and liability insurance. The UTVmust also have headlights, tail and brake lights, horn audible from 200 feet and at least one mirror. They’re restricted to roads with speeds 45 mph or less. New Hampshire’s Revised Statute 215-A:6 allows OHV operation on rural roads and along the right-of-ways of roads, except on interstate highways, limited-access highways or toll roads (Class I,II or III). RS 215-A:9 allows paved roads to be crossed to connect OHV trails, but crossing Interstate highways, divided highways, or toll roads is prohibited. Other sections of RS 215-A require eye protection and helmet use by those under 18; operators possess a valid driver’s license and proof of completion of an OHV-safety course; working headlights, taillights and brakelights; brakes capable of stopping the vehicle within 40 feet from 20 mph; a working muffler and a current registration decal. Indiana Code 14-16-1-20 allows OHVs to operate on county roads outside of corporate limits of cities or towns if the roadway is designated for this purpose. Otherwise, UTVs and ATVs can only operate on rights-of-way or to cross roadways. Colorado has historically been lenient regarding licensing dirt bikes to connect Forest-Service trails via county roads but has shunned UTVs and ATVs until 2015’s HB15-1054. This legislation would have authorized a person to drive an off-highway vehicle (OHV) on a county road if the person has a driver’s license, obeys the rules of the road and stays below 40 mph. Counties would have published maps of all roadways available for limited OHV use. Owners would apply for ($10 fee) and display the license plate issued by the DMV and carry insurance for the UTV. This bill passed the House and Senate and was to be signed, but then rich greenies in towns like Aspen and Crested Butte shot it down, to the chagrin of western-slope towns like Silverton, Ouray, Lake City and others, who depend on tourism dollars. So, Colorado counties set their own standards and designate authorized routes on county roads and city streets, instead of having a statewide standard. Colorado equipment requirements are met by most UTVs – working head-, tail- and brake-lights, muffler and spark arrestor. The driver must have a valid driver’s license, OHV registration and insurance and wear eye glasses, goggles or a helmet with eye protection, and passengers and/or drivers under 18 years of age must wear a helmet. Rear-view mirrors are also advised in many counties. For more information, see www.staythetrail.org. So, it’s up to each city or county to designate roads OHV-friendly. On these roads, Nevada requires headlight(s) with 500-foot reach, tail-light(s) and brake-light(s) visible from 500 feet, at least one rear reflector and a working muffler. Drivers must wear a helmet, have registration attached to the vehicle and comply with all traffic laws. North Dakota Administrative Code 37-04-01-03 states that a person with a valid driver’s license may operate a registered recreational vehicle (OHV) in the ditch bottom, back-slope, and on top of the back-slope of any state highway or byway. They may veer onto the road only to avoid an obstruction on the right-of-way. UTVs must have working headlights, taillights, brakes and brake lights. Oregon Revised Statute 821.055 allows UTVs and OHVs to be operated on any road open to the public and not maintained for passenger-car traffic, such as Forest-Service and County Roads. Operators 16 years and older must hold a valid ATV operator permit. Those under 16 must be accompanied by a person 18 or older with a valid ATV operator permit and who is able to provide immediate assistant to the child, who must also have an ATV permit. Also, Florida’s Statute 316.2123 allows OHVs on unpaved roads with speeds less than 35 mph. Oklahoma Statute 11-1116 allows travel on unpaved USFS roads or incorporated county roads so designated by each county. Texas prohibits UTV operation on public roadways, with exceptions, but allows OHVs to cross a public road, street or highway that is not an interstate or limited-access highway; OHVs are to cross at existing intersections with another street, road, or highway. OHVs may be operated on public streets in connection with agricultural or utility purposes, but the OHV must have an eight-foot whip and triangular orange flag, headlights even though operation is only allowed in daylight, and a driver’s license. Road use cannot exceed 25 miles. So, if you own land that could be classified as farm land, or need to cross streets to connect trails, you’re good to go in Texas. Connecticut allows crossing roads with restrictions, and UTVs must have mufflers, brakes, and lights; Massachusetts only allows OHVs to cross roads or to be operated when snow makes roads otherwise impassable. Nebraska, New York (daylight hours only), North Carolina, Pennsylvania, Rhode Island and Wisconsin also allow crossing roads with restrictions to connect trails. Arkansas, Hawaii, Iowa, Louisiana, Maine, Michigan, Nebraska, New Mexico, South Carolina, Vermont, and Wisconsin have various statutes for vehicles used for farming, but, like Texas, many require proof of land ownership and have restrictions on how far UTVs can travel and at what times. Minnesota Statute 84.777 allows UTV use on forest roads during hunting season and hours by those with a valid hunting license.